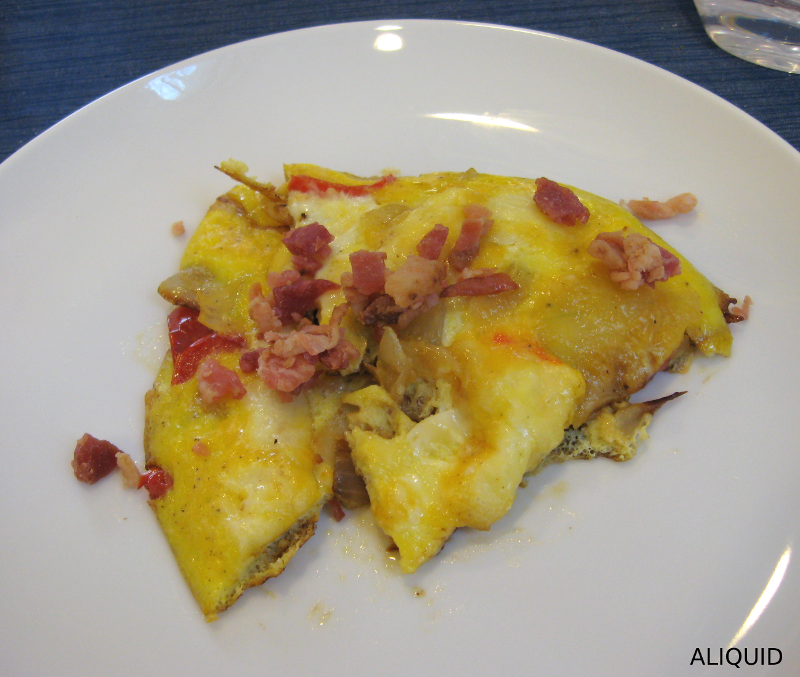 ALIQUID: 2014 Blogger Challenge #6: Frittatas! Hi all! Hope you had a nice weekend! It's time once again for the 2014 Blogger Challenge, and this week's theme is food. 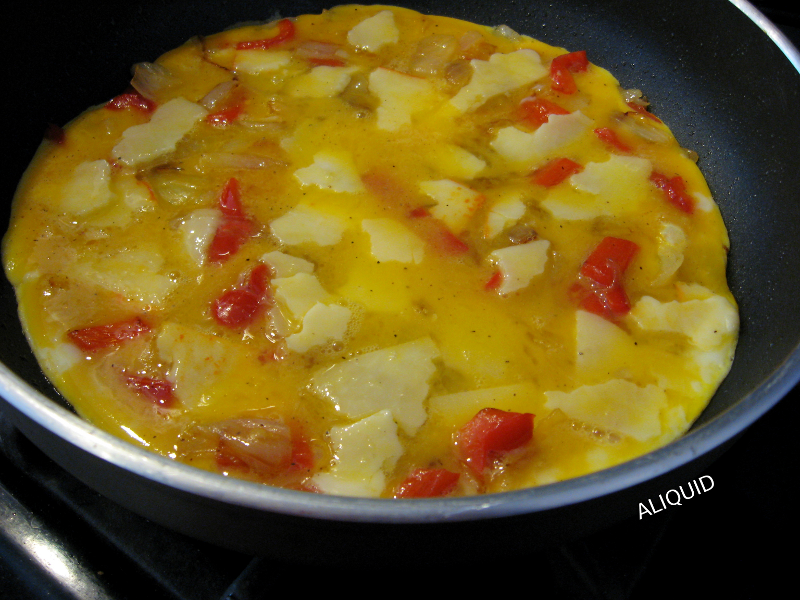 I've been really busy lately getting ready to release my next polish collection, so I was actually thinking about skipping the challenge this time; luckily Mr. ALIQUID provided me with an easy topic when he asked me to make something eggy for breakfast this morning. What I ended up making is a frittata (basically an open-faced omelette), which is practically foolproof and a great way to use up leftover veggies or meat. 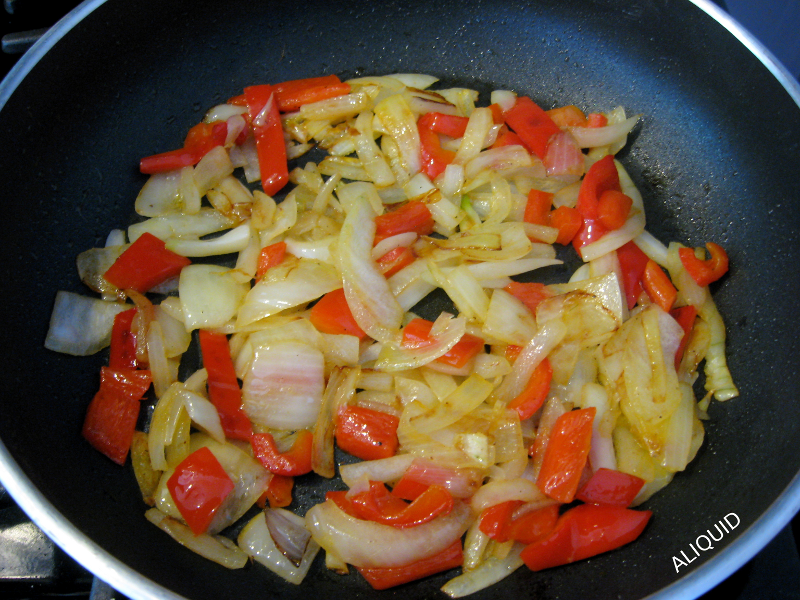 I started by roughly chopping half an onion and half a bell pepper, which I cooked on medium-high heat with some olive oil, salt and pepper until the onions turned golden brown. Be sure to use a nonstick skillet. The type and amount of filling is totally up to you, depending on what ratio of eggs to filling you want. The important thing is that the filling is fully cooked and that any water in the pan gets cooked off (otherwise you'll have watery eggs, ew!). 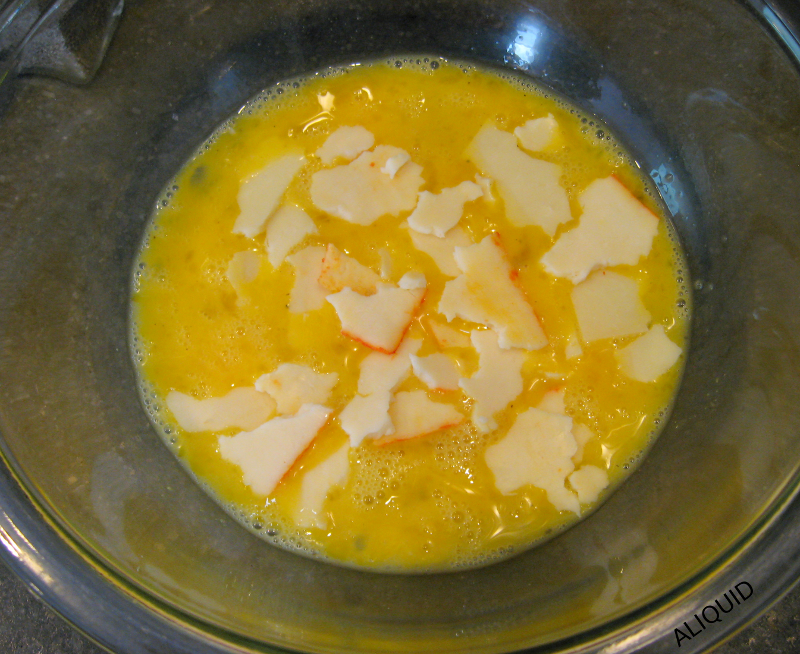 Meanwhile, I whisked four eggs in a bowl and added some salt, pepper, and torn up slices of cheddar and muenster cheese. You can get fancy and add herbs too. Now you just let the eggs sit until they're cooked all the way through (firm and opaque), but only just; the eggs should still be tender and moist. (You can also do this part in the oven at 350 degrees for a few minutes.) Slice it up and enjoy!